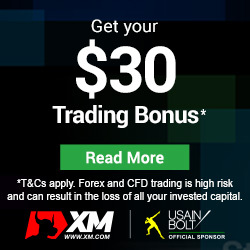 "TRADE IN PLAY MODE, EARN $500 IN REAL MONEY"
OhMyGeorge, the simplest trading app on the market, partnered up with AxiTrader (Australia's most trusted Forex Broker*) to organize trading contests that allow you to earn up to US$500 in real money! >>> Next contest will be live on January 20, 2019! 3. 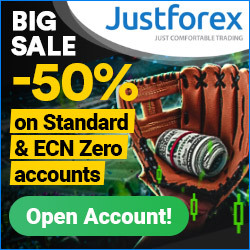 Most profitable trader of the contest wins US$500 in real money! Free Demo Trading contest from OhMyGeorge, sponsored by AxiTrader. Winner gets a live $500 account at AxiTrader. yes keep away from ironfx and fxgiants because they are scammers , i trdae with them made profits but after that they cancel my profit without anyexplanation and without any reason , my account manager do not reply chat always close and tey are very rude , so take my advise and keeps away !!!! Ironfx and fxginats both are same company and both of those company are fake. They never published the result of June and July-2018 demo contest. iya mas.. monggo dicoba. good luck..
Blackwell Global will be holding a Demo Trading Competition from the 15th March until the 15th April. Compete against other traders on the first ever Crypto Trading Competition. Trade with your Metatrader 4 or MT5 platform. JAFX $10,000 demo forex competition. 10th place - 100 USD. Closeoption.com increase weekly contest prize,it is near $888 and because they pay 26 person it can be suit for demo Traders. closeoption holds weekly contests with 485$ prize for 17 winners. Liteforex demo contest is the best....FAKE CONTEST..!!! You win and sent request prize, you will get NOTHING. Anyone get WD prize from MFX? Contest is held from 06.02.2017 to 17.02.2017. Date of winners announcement is 23.02.2017. What's happened, no new promotions ??? Be carefull for closeoption "
My name is Patrick, and i'm the Representative of AHMZ TradeFX (www.ahmzfx.com) an online Forex Broker. 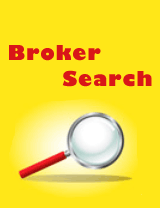 We see that your website lists Demo Competitions from several other Forex Brokers. To that end we would like to inform you that "AHMZ TradeFX" is launching a "Forex Demo Competition" with a Prize Fund of more than 10,000 USD and 300 winners in total. Here is the link for the contest so you can share it with your subscribers and visitors. let me know if you need to know anything else about the contest. Please update contest list . Any client of Gerchik & Co can participate in our trader’s contest. Each participant would have an opened contest demo account with 10 000 dollars. Accepted level of equity drawdown – 20%. Be carefull for closeoption contest they r only playing with people they dont pay anything i particpate and got good profit but i open some trades and wen all of them gonna close expire at expiry time the system is hang and it keep showing that my order is closing ans in process but it didnt close and i lose the contest otherwise i was in top 5 and the support tell me they ll check for it but they did nthing...so dont waste ur time..
it is demo contest, Close option pay 1th place 300$ 2th place 200$ and 3th till 9th place give some money! try your Experience in Binary option Trading Contest. Join the contest and take your chance against the best cryptocurrency traders in the world all vying to win one of only four coveted positions in First Global Credit’s Elite Trading Group. GOOD BROKER, No DEPOSIT 25$ VERIFICATION BONUS. hey,hey,hey. no demo contest for quite awhile.whats going on?its kinds getting boring.Admin can you find us new forex demo contests. Is new demo contest dry out? Several weeks no new demo contest. Hope brokers will arrange a lot of new demo contest. Tradewise. After i made 600 usd from there 100 usd nfp contest. real trader group is very disappointing at all. recently I follow demo contest in realtrader group. based on final standings finished the contest stage I was in a position to 5 with rh3yna nickname, after I check again at Contest Results Archive turns nickname rh3yna not listed in the top 5. Disappointing once realtrader group, although the prize is not so great. Where is the accountability of the group realtrader. Before the contest I've read all the rules. 1st place : FC Barcelona VIP pack or $5,000*! » The contest starts on November 1st, 08:00 GMT until November 30th 08:00 GMT 2015. » Registration starts on October 20, 08:00 GMT till the contest starts. » Registration for this contest constitutes your agreement to the following terms and you will not be eligible for the prizes unless you agree to these rules. » Top 10 contestants will receive cash prize that will be paid to winner Life Account and the Winner have to trade 1 Standard Lot for each $10 of the Total Prize. Miki Forex | "On the Success Wave 3"
Last Date for Registration Oct 16th 2015.